Rob Liefeld doesn’t draw feet. Because he can’t draw feet. We all know it. It’s in the DNA of comic books. It doesn’t have to be true, it’s not true, but it feels like it’s true. And Deadpool 2 made reference to it as well, alongside the pouches, Cable’s size and more. Rob seems happy with that but also wants to point out that this thing is an illustrative choice… and Jim Lee joins in. 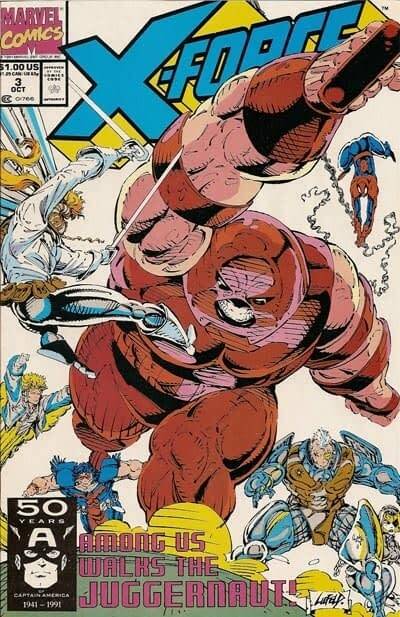 To be fair, I see feet from Iceman, Wolverine and even Jim Lee himself there… but Jim Lee knew of where he came from. The nineties were a strange, footloose era.